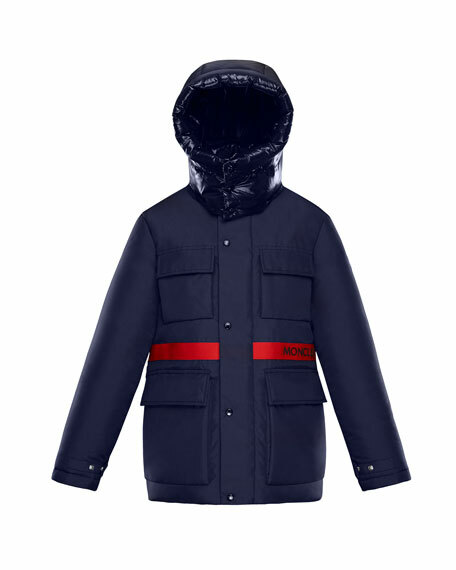 Moncler "Perpignan" jacket with contrast shiny details. Flap patch pockets at front. Outer back and hood: nylon.